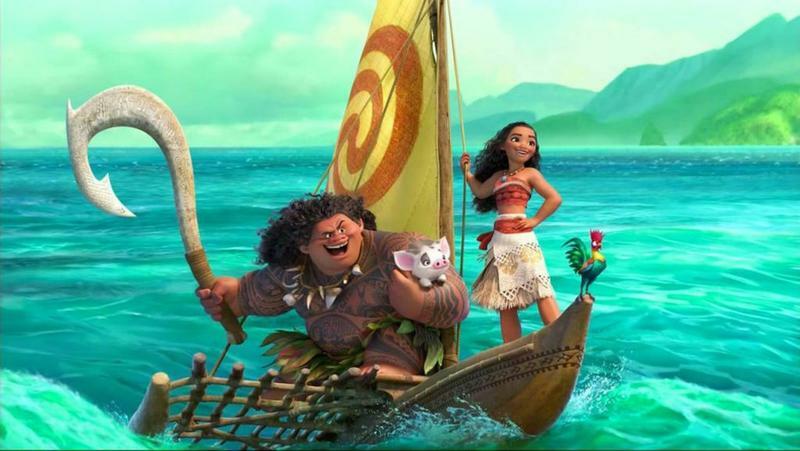 What does it mean to have Hawaiian as an official language? 5-year-old Puakala Oliver leads her posse of preschoolers in preparing for a make-believe baby lūʻau. Puakala Oliver (center in green) with her preschool playmates outside the Punana Leo O Manoa, one of 12 Hawaiian language immersion preschools in the state. It’s playtime for the preschoolers at the Pūnana Leo O Mānoa, a Hawaiian language immersion school where the number one rule is no speaking English. Like any other preschool, lessons are conducted in the Hawaiian language or ‘ōlelo Hawai’i, games are played in ʻōlelo Hawaiʻi, and yes, scolding is done in ʻōlelo Hawaiʻi. Kahōkūʻalohiokeao Lindsey-Asing runs the preschool, one of 12 in the state. 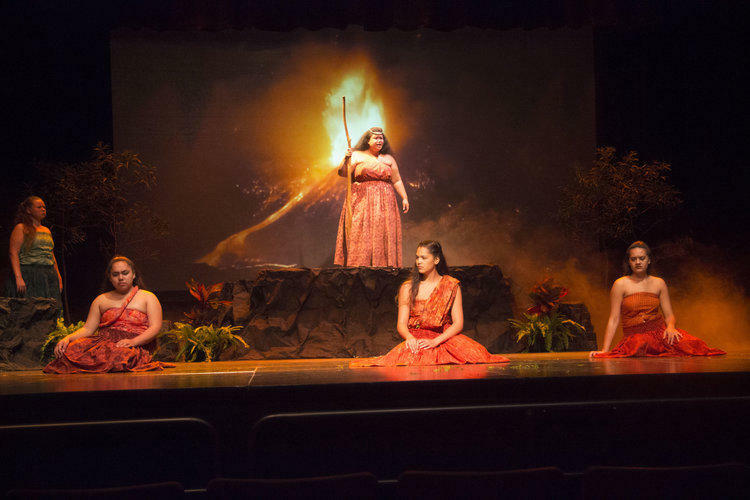 In the 1970s, the Hawaiian language was on the brink of extinction. 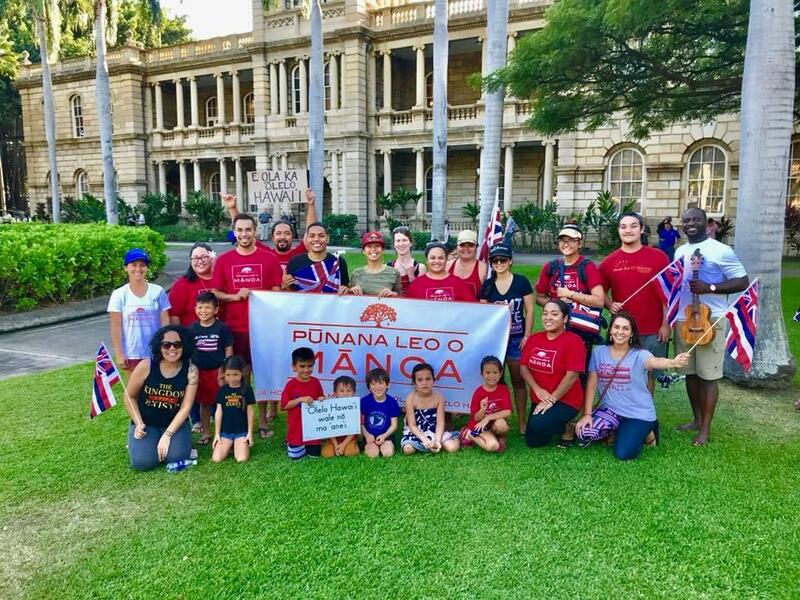 Grassroot efforts to establish Hawaiian language immersion schools like the Pūnana Leo helped revitalize the language. John Waiheʻe, the state’s first native Hawaiian governor, was a delegate at the 1978 Constitutional Convention that reestablished Hawaiian as an official language of the state. 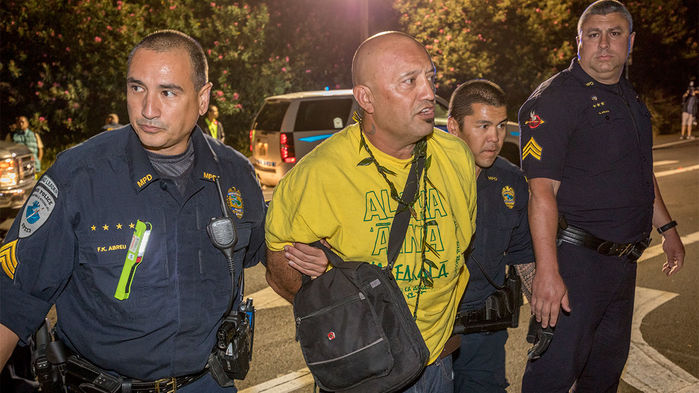 Maui Professor and Hawaiian language speaker Kaleikoa Ka'eo (center with baseball cap) stands outside the Wailuku court house where a judge ordered him to conduct proceedings in the English language. While he is fluent in both English and Hawaiian, it is through the Hawaiian language that he can best express himself. He is joined by the preschoolers of Punana Leo O Maui. “And there was only a few thousand people who could really speak Hawaiʻi in 1978 and today we have tens of thousands,” says Waiheʻe. 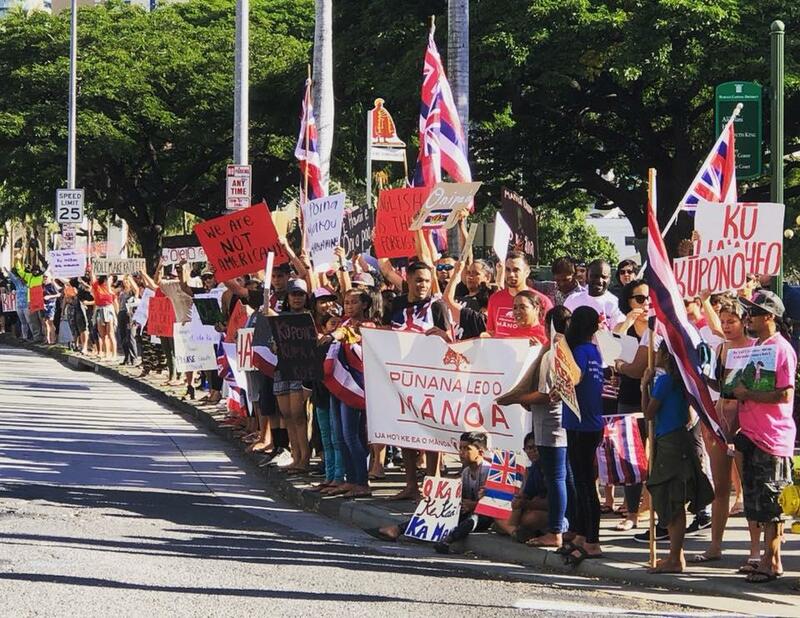 So it came as a surprise to many last week when a Maui judge reprimanded a university professor for speaking ‘ōlelo Hawai’i, the official language in a court of law. Maui Senator Kalani English at a hearing on a bill he proposed to require Hawaiian language interpreters in Hawai'i courts. “The way the Constitution was written it says ‘as provided by law’ that means we have to pass something,” says state Senator Kalani English, who represents Molokaʻi, Lānaʻi, Kahoʻolawe, and most of Maui Island. 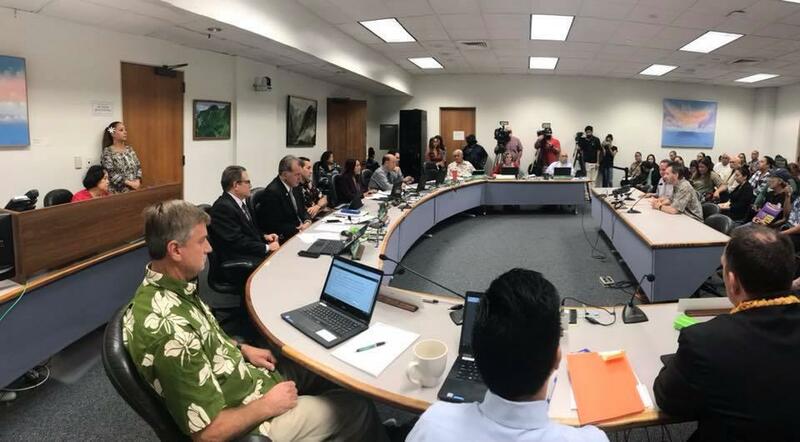 Advocates for the Hawaiian language turned out in droves to testify in support of Sen. English's bill to mandate Hawaiian language interpreters in court. Most testified in Hawaiian language with an interpreter provided for those in the Legislature and audience who may not have understood the language. Sen. English, himself a native speaker, recently pushed through legislation that would require the court provide Hawaiian language interpreters should the need arise. Saying the Maui incident really got everyone’s attention. 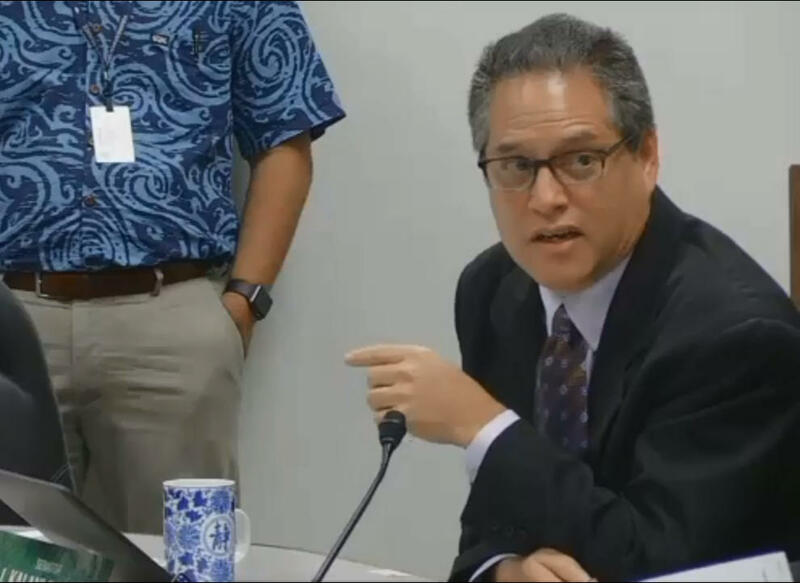 “This was like a catalyst that said, ʻOk, it’s time to take the final steps and make this work,ʻ” says Sen. English. Sen. English has been pushing legislation on ʻōlelo Hawaiʻi since he joined the legislature nearly two decades ago. The difference he says is, now there’s a strong community of Hawaiian language speakers. 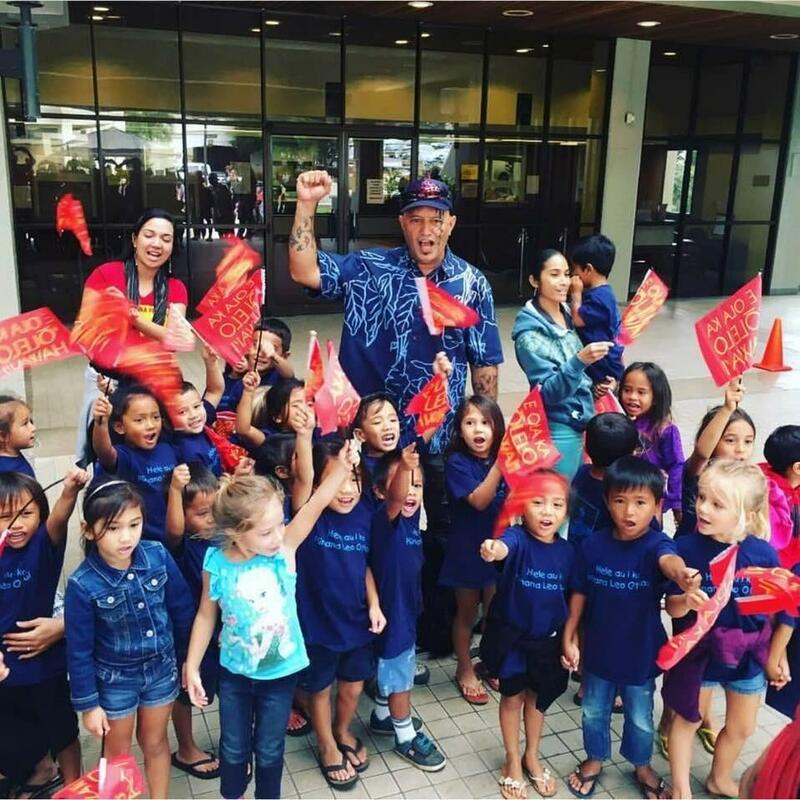 Following the Maui courtroom incident, preschool teacher Kahokuoalohiokeao Lindsey-Asing took his students to a rally in support of the Hawaiian language. Back at the Pūnana Leo O Mānoa, Lindsey-Asing says he’s explained the Maui incident to his children.